GM Uzbekistan will stop the assembly of Chevrolet Orlando cars from the first quarter of 2018, the company said on January 22. The decision was made in accordance with the global strategy of General Motors to update the model range. GM Uzbekistan launched the manufacturing of the seven-seat minivan Chevrolet Orlando in 2014. The car was assembled at the factory in the Khorezm region. The company has already stopped registration of applications for contracts for the supply of cars of this model. At the same time, GM Uzbekistan emphasizes that the delivery of cars to buyers who have applied for contracts or concluded contracts will be carried out in full and within the terms specified in the contracts. 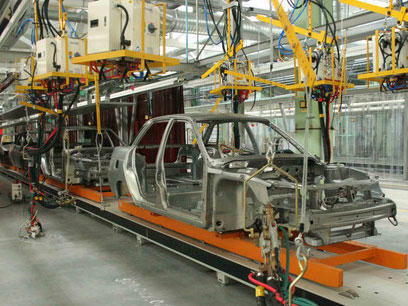 The production of cars by General Motors Uzbekistan Ltd decreased by 7.4 percent in 2017 and amounted to more than 82,000, whereas in 2016, the production decreased by 52.5 percent, and in 2015 – by 24.5 percent. GM Uzbekistan is a joint venture owned by Uzbek UzAvtosanoat (75 percent) and American General Motors (25 percent). Currently, the company produce 10 models of cars under the brands Chevrolet and Ravon.